There’s no doubt that revival and reformation is coming to the Philippines. It is our call and destiny. It is an inheritance that was imprinted in our race from the beginning of time. It is a birthright that we all deserve to live in right when God thought of this nation’s genesis. This heritage is now almost at hand. For decades, our beloved nation has been in so much oppression. First, from the alien foes that abused our dignity as a people for years that until now we are still haunted by its horrors and pains. Second, by our own people who were consumed with greed not minding that we of the same color and that we came from the same womb. These are the tyrants and the oligarchs who have controlled and used our innocence for their self-interests. They have proudly lifted themselves higher amongst their brothers and have stepped on our heads deeper into the mud of destitution while they feasted on the fruits of their schemes in this land like gods. But the Lord finally heard the cries of His saints. For years, beyond the physical surface of this nation’s topography, a remnant of desperate intercessors have calloused knees and blood shot eyes crying out for change. These prayer warriors have shut their doors to the pleasures of the world and have dedicated themselves to prayer behind the spotlight of ministry pulpits and fancy lifestyles. A people who never bowed down to any gods of this world. A generation pure and holy before God. We are now on the verge of living out the call and destiny of our lineage. Because finally a generation is rising up that’s not blinded anymore. Truth came and religion was stripped of its hypocrisy. A generation that speaks up. A generation that can not be played anymore. A generation that fights not just for what is good, but also for what is right! We on the brink of seeing His glory manifested in our midst. But the devil is not giving us this birthright without a fight. Thus we can see evil motives attacking the good that’s happening in this nation. I am not saying that President Duterte is perfect. He has his own issues. But it is not a doubt that his leadership is a vital factor in this nation’s transformation. This nation did not have any president who is for the people in a long time. A leader who is not under the nose of the few rich families who have been controlling this nation for years. He is for the common Filipino. He understands our struggles and decided to fight for our behalf. Thus we can only predict that these oppositions are normal. They are using the good intentions of the drug war and find every loop holes in the administration to deceive this nation again. It is very cunning. Let’s try to expose these intentions one by one. Possible Evil Motive: Self-interest. When the President is ousted or taken out of office in any form, she gets to be in power. Personal View: The “Not-So-Good-Senator” is a Bark Dog. I might be wrong but I did not see him side with the constitution for the sake of the people it serves. He is using it instead to serve the interest of those who might be paying him. Possible Evil Motive: He might have secrets on his own. He might be deep down in the affairs he’s possible involved in that he needs to cooperate to save himself. Personal View: No sense. No basis. No legal grounds. Possible Evil Motive: Because they are Trillanes’ puppies. Personal View: Done out of a good heart. 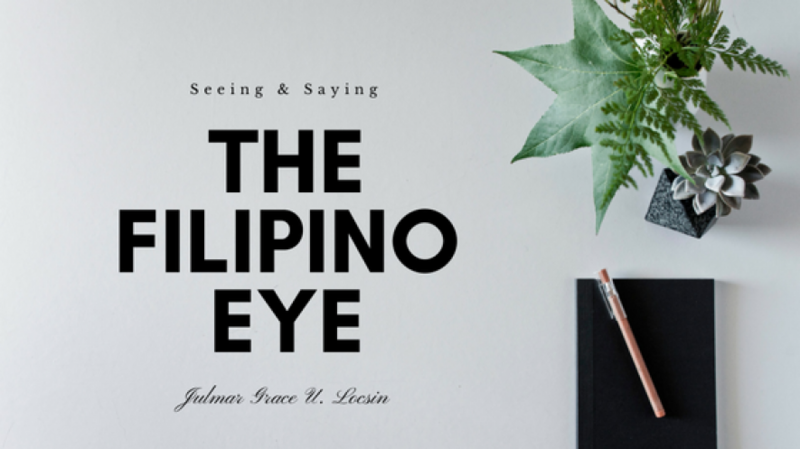 But most have pre-judgment that might have been influenced by media who lacked research and doesn’t even understand the depths of this issue in the lives of the common Filipino. Possible Evil Motive: The oligarchs may have use the loop holes of this mandate to spread confusion, lies and deception. Personal View: No matter how many times the Liberal Party denies this, the Filipino people is I think not that dumb to see that it is true. It is planned out and well-funded. It is filthy and it stinks! Possible Evil Motive: For the “few rich” to gain back power and control the “mass in poverty”. As Christians, it is important that we respond and not react. Let’s not waiver in faith. Let’s stop highlighting what the devil is doing. Magnify what God can do in this situation. Faith is our weapon. Let’s declare His will for our people and believe in our destiny like never before. Let’s not stop praying. We advance through prayers. We are seeing changes because of intercessions. Let’s not stop knocking on heavens doors until we see transformation. Let there be a revolt in prayer closets and the altars of our churches crying out for our nation than shoutings in the streets. Protect the President. Those who have known the President knows that he rarely defends himself. He shares his knowledge and thoughts on inquiries but he would always abide to the law of the land. This is where Bark Dogs come and take this resilience as an opportunity to attack. Let us be his voice. There are a lot of social media influencers who are protecting the president but where are the sons of God? Where are those who can speak to the storms? Where are the children of the Most High who can disclose the will of heaven in circumstances like these? We don’t need to add to reactions online anymore, what we need is the voice of truth all across the land. So be involve. Share positive, well-researched, reliable and balanced articles about the administration. The offices of the DA and DENR secretaries are a good place to start. Respond to social media posts in the perspective and attitude of heaven. Speak forth verses and intercessions which are birth in the secret place to our beloved nation. It’s time to advance His kingdom! Declaring a day of Purim in our land in this time. That just like in the days of Queen Esther, the very traps the wicked Haman prepared to eradicate the people of God will be used against him instead. That evil will be stopped. And His people can be freed. So arise you Mordecais and give wisdom! Arise you Esthers for it’s time fast and pray! Let us together face the King for mercy and ask for the liberty of our land. And if we perish, we perish!